Funny cute photo and good american staffordshire terrier in a hat for swimming. Funny cute photo and good american staffordshire terrier in a hat for swimming. 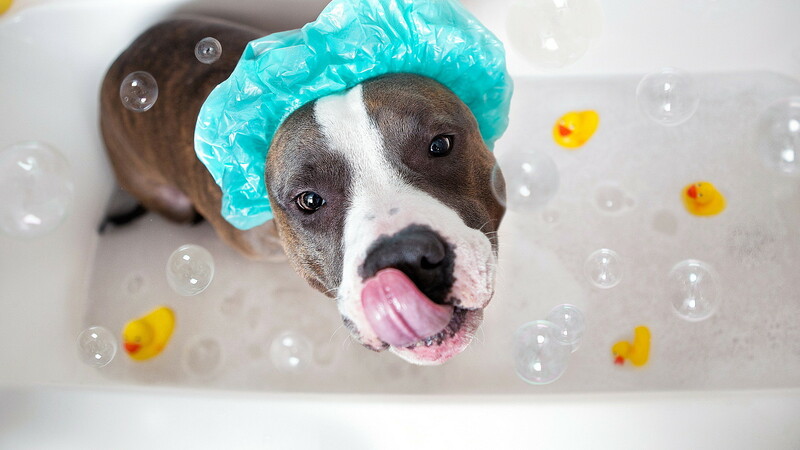 Unusual picture takes a bath with Amstaff surrounded ducks and bubbles. Beautiful and funny photos american staffordshire terrier, who pose in photos of high resolution. Quality picture with purebred dogs. Soooo you took all these photos?